70 Days. 10 weeks. Once in a lifetime experience. 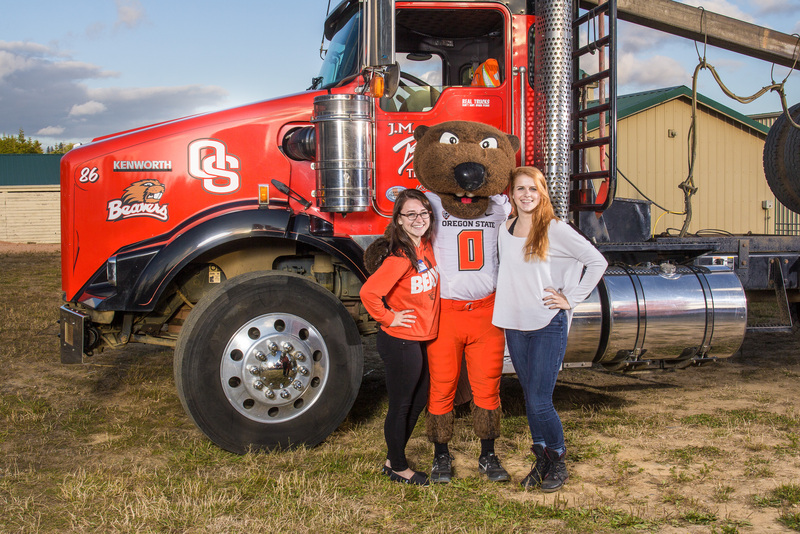 PROMISE intern Emalee Rabinovitch (left) at the 2016 Clatsop County Fair with Benny the Beaver and a friend. How do you touch the lives of the people that you meet? This is a question I find myself asking pretty frequently. My whole life I have known that I wanted to enter a career field where I could continually touch the lives of those around me. So when I found an internship that did just that, I knew it would be a perfect fit for me. My name is Emalee Rabinovitch and I am about to graduate from Oregon State University with a Bachelor’s of Science degree in Public Health and Education. One of my final tasks here at OSU was to find an internship that aligned with the same values and outcomes as my degree. After doing a bit of searching, I came across the PROMISE Program. The PROMISE Program is a 10-week internship experience that provides opportunities in state and local government agencies, as well as university programs for Oregon State University undergraduate students. These internships are intended to provide students a pathway to a professional career with an emphasis on helping underrepresented students. After acceptance into the program, PROMISE coordinators set up a number of interviews for students to find an internship site that best understands their career aspirations and needs. 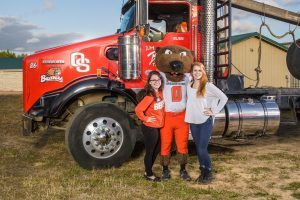 On April 26, 2016, I received an email from one of the coordinators saying I received a joint offer from the Division of University Outreach and Engagement and OSU Extension Service Coast Region. Before I knew it I was set up and ready to go in Ballard Extension Hall on campus. My first week consisted of getting to know the new faces around me while diving head-first into what Extension was all about. My main project is to create a one-page, double-sided marketing tool template to inform readers about how Extension is influencing the lives of community members in Oregon’s counties. The goal is to create a customizable marketing tool for each county and region to inform more people about the resources provided through their local Extension offices. Starting with Clatsop County, I visited the office in Astoria and met their very welcoming staff members saw the work they were doing. By visiting the county, I was able to see the impact these programs have on the members of the community and the positive changes being made. 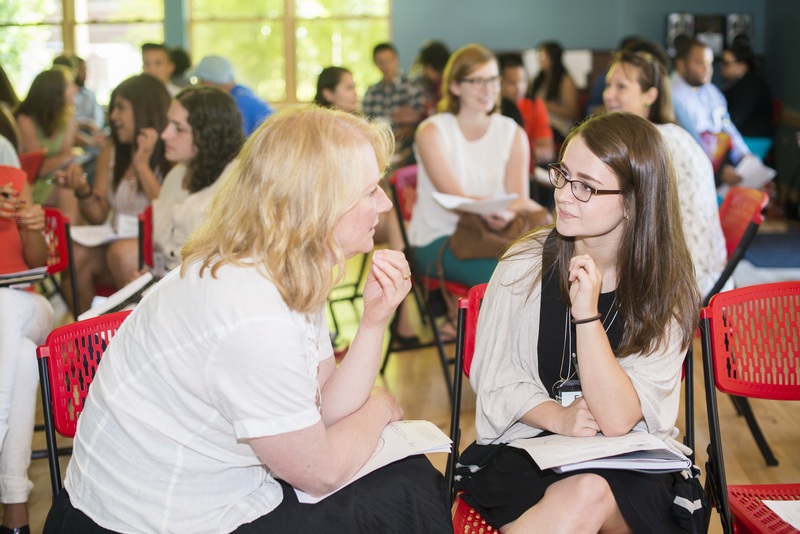 Emalee Rabinovitch (right), PROMISE intern, and Ann Marie Murphy (left), mentor, get to know one another during a PROMISE workshop. The best way I can describe this overall journey is that it is an internship within an internship. I not only was provided with one learning experience through sessions with my PROMISE team, but I also was provided with an experience here at University Outreach and Engagement that allows me to grow as a professional and individual, as well as creating lasting workplace relationships. This program is unique because it allowed me to gain not one, but several excellent mentors who helped me reach my goals and provided me with excellent resources for my future. One of the mentors I found myself looking to was Ann Murphy, communication and marketing manager for University Outreach and Engagement. I met Ann for the first time during my interview for the position back in April and could tell immediately she had a great sense of creativity and dedication. After learning so much about the Division, it brought me back to asking: “How do you touch the lives of the people that you meet?” University Outreach and Engagement and Extension Service do this every day. I never knew 10 weeks could go by so fast, but in my time being here I was able to see incredible staff members make positive changes in the communities and people they cared for. The programs offered are directly touching the lives of neighbors, friends, local business owners and many more, as well as letting local stakeholders be involved in the decision making process. Each faculty member touches the lives of those they interact with and had a significant influence in making my time here great. As I go on in my future endeavors, I hope to educate more people about Extension resources and how they can benefit everyone involved. I may be just an intern, but after this experience I feel like I have the necessary tools in my toolbox to go out into society and touch the lives of those around me because of what I have learned from my time here at University Outreach and Engagement. To learn more about the PROMISE program, click this link. Posted in Community Outreach, Extension, Marketing, Our People. the experiences proves a big idea for all time.